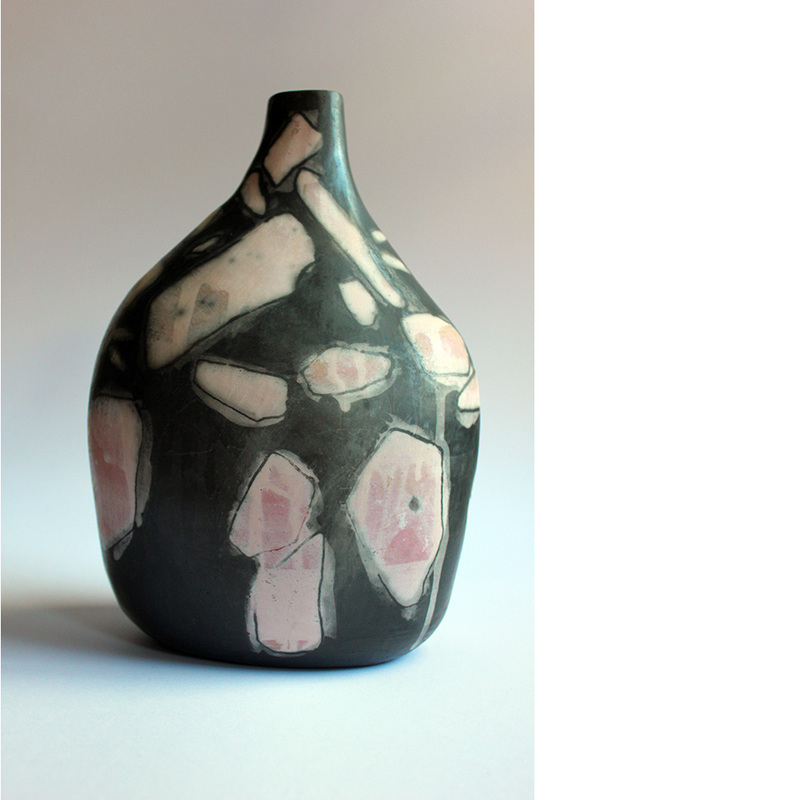 I am excited to report that I've been selected as a finalist in the 2015 Manningham Ceramic Art Award. Incorporating the opposing qualities of heftiness and air-filled, expansive volume, rock balloon is part of a body of work exploring an unusual technique. Closed forms are handbuilt, an aperture made and the pieces inflated with my breath, before being worked into vessels. Each piece retains a sense of the positive pressure utilised during its construction. Polished like a river stone and fired using a slip resist raku method, the surface patterns reflect the shapes seen in rock under magnification.